Once again Wedding season is in full swing, and today may be the big day but the preparation will have started many months ago. Over the years we have helped plan dinners and design menus for the happy day always with the happy couple’s thoughts and desires in mind. It should be a day made special because everything is exactly as planned, starting with the menu itself. 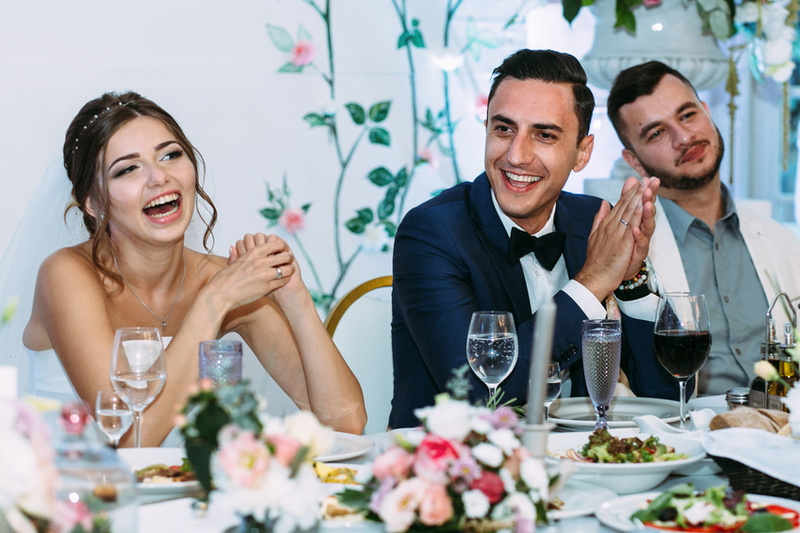 Whether it is for the rehearsal dinner, a wedding breakfast, the wedding dinner itself of the evening reception buffet, we prefer to sit down and discuss the exact requirements with the couple and organisers the type of event. 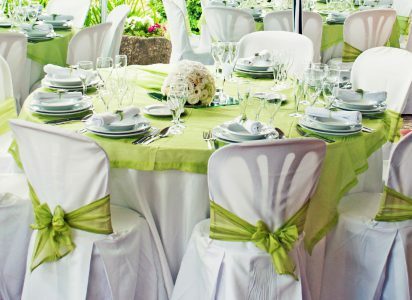 Either for a full sit down dinner or a more sociable buffet each item of food is chosen to fit the tastes of the and the style of the event and always to the budget set. Many menu choices and variations can be discussed to make the food a very important and memorable part of the big day and an eye for details is vital in the process and our experience proves invaluable time after time. The wedding dinner itself is not usually the first thing that we serve, we can prepare an large selection of canapes to greet guests. 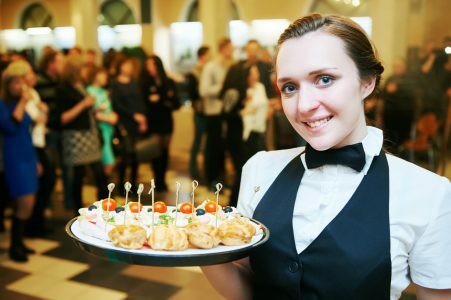 Canapes are special little treat that help to keep hunger at bay while welcome drinks are being served. The impact of waiters with trays of canapes is one of those memorable moments and the choice can be huge, so we can mix and match menus to suit, even mixing hot with cold. The secret of a good canape is that you can eat it while standing with one hand and it ought to be a very tasty delicacy with different flavours and little taste explosions, but big enough to be more than a quick mouthful. Then onto the main meal where the same level of preparation is required. We also need to cater for different dietary constraints and often provide food that is vegetarian and gluten free on request. We have served wedding dinners and reception party buffets in church halls, marquees and many hotels such as Dalmahoy Golf & Country club. If you want your event well planned and executed Club Class Catering are now taking bookings for Weddings in 2017-18 at the venue of your choice, start here by looking at some recent menus on our Wedding page.